The Streamline refinance, or Interest Rate Reduction Refinance Loan (IRRRL), is an option for homeowners who already have a VA Loan and would like to refinance into a lower monthly mortgage rate. 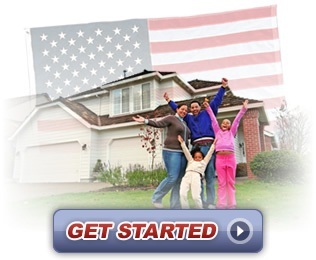 This type of VA refinance is pretty simple and easy and can be completed rather quickly. The Streamline, or IRRRL is quick and simple because homeowners are refinancing from one VA Loan product to another. There are several advantages to choosing the VA Streamline (IRRRL) Refinancing, including no required appraisal in some cases, no need to obtain another Certificate of Eligibility and little to no out-of-pocket costs for you. To avoid the out of pocket costs the homeowner can choose to roll the closing costs and fees into the balance of the loan. There are a few requirements and certain stipulations to using this type of VA refinance option. The borrower is not allowed to receive any cash back from the IRRRL (cash back refinancing is a better option if this is needed) and the borrower must also certify that he or she currently or has previously occupied the property. Remember, a half a percent or a percent may not sound like much, but the potential savings over the life of the loan are quite substantial. Here is a sample chart of what savings may look like. *Please Note: The above chart is for illustration and sample purposes only and will vary based on a number of factors. All VA refinance loans require approval and proof of eligibility and are subject to the complete terms and conditions outlined in the loan agreement documents. The Streamline refinance is a much simpler process compared to originating the first VA mortgage. Closing costs and fees can be rolled into the new loan, meaning no out-of-pocket expenses for you. The IRRRL, or Streamline program, allows you to refinance into a fixed rate or adjustable rate loan. Ready to get started? Or maybe you are interested in a Cash Out Refinancing?